All of our therapists are clinical psychologists and counselors who are masters or PhD in Psychology from reputed educational institutes. 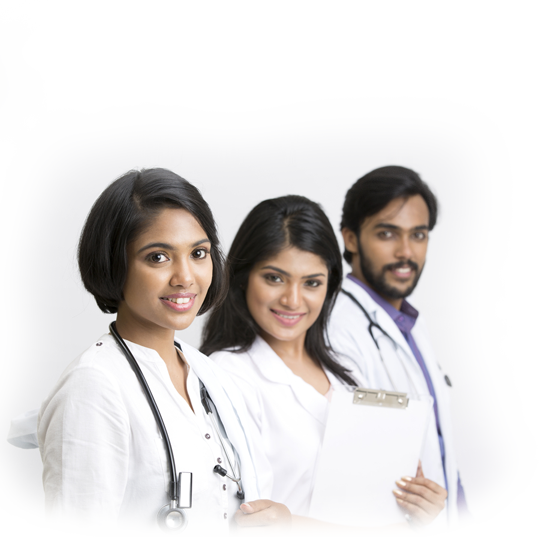 Our Psychiatrists are MBBS with MD in Psychiatry from top medical schools. Many people don’t realize there are different kinds of therapists and counselors, with varying levels of training. At Juno Clinic, all of our therapists bring years of clinical and practical training and experience to the care they provide to our patients. From the group of applicants, we do a full investigation into their professional credentials including background check, license verification and a direct screening with our behavioural health team. Next, each candidate goes through extensive training to ensure the video is used effectively during therapy, their bedside manner is competent and they fully understand and can implement the materials covered in Juno Clinics training guide and manual. During this training phase we also review and remind our therapists about cultural competency, sensitivity (religion, race, sexual orientation, etc.) and do an in-depth review of our policies and procedures. Finally, we measure each therapist’s performance and quality of care. This takes place in multiple forms, one of which is patient ratings. Patients can rate every single session. That gives us a good insight into their level of professionalism, their level of service and the patient’s view on the level of helpfulness. We also provide each therapist with feedback on room for improvement; rewarding those that are performing well and letting go therapists that aren’t meeting our standards. The result of this lengthy and rigorous selection and training process ensures each time you schedule a session with a Juno Clinic therapist, you are engaging with and being treated by top notch therapist.